TiE New York student members are enrolled in college or graduate school and are interested in learning about entrepreneurship and business. Get involved and learn about entrepreneurship, social marketing and running events all at the same time. Volunteer your time and learn business skills and make connections with those with broad networks that can help advise and connect you when you graduate. Opportunity to listen and learn from practicing entrepreneurs. Opportunity to connect with members and mentors, many of whom are serial entrepreneurs. Make connections to network your way into an internship with TiE member companies. 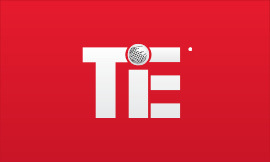 Discounted annual membership fee and attendance at TiE events. Enjoy member perks and benefits similar to Members but at a student-friendly price of $50/year.